Gaming as a culture has not been taken seriously, not just in Australia, but around the world. In 2013, Australia has taken two leaps forwards: an adults-only classification rating for games has finally come to fruition, and the Penny Arcade Expo (PAX) is being held in this country for the first time. PAX is a gaming festival that began almost a decade ago, and the PAX Australia Expo represents the first time the event has been held outside the United States. Melbourne was the lucky city selected for hosting this celebration of gaming culture in all its forms. While PAX is an event for gamers, by gamers, the publicity created by such a large scale event will help show the citizens of Melbourne and right across Australia that games matter. Gamers take the culture seriously, and Melbourne with its extensive cultural background has represented a great gaming society in the past. Television shows such as Good Game and New Games Plus, and events such as the EB Games Expo have been on the forefront to serve the interests of gamers, but PAX, as a globally recognised event, has the potential to be the biggest gaming related event in Melbourne and Australia’s history. 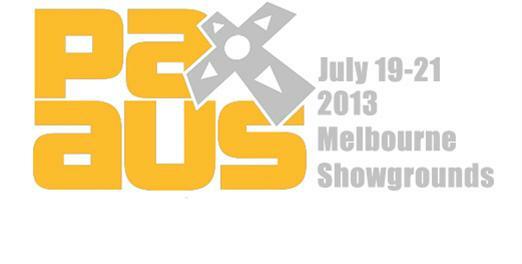 The PAX Australia Expo will not be a watered down event. There will be a keynote speech from respected Monkey Island creator Ron Gilbert, as well as appearances from famed developers such as BioWare (Mass Effect, Dragon Age) and Nintendo (Super Mario, The Legend of Zelda). Players of tabletop games can get together and upcoming computer and video games will be playable. Whether you play video games, computer games or tabletop games, all gamers right across Australia, and Melbourne especially, will have an exciting opportunity to feel united in celebration of the machine that is gaming culture.